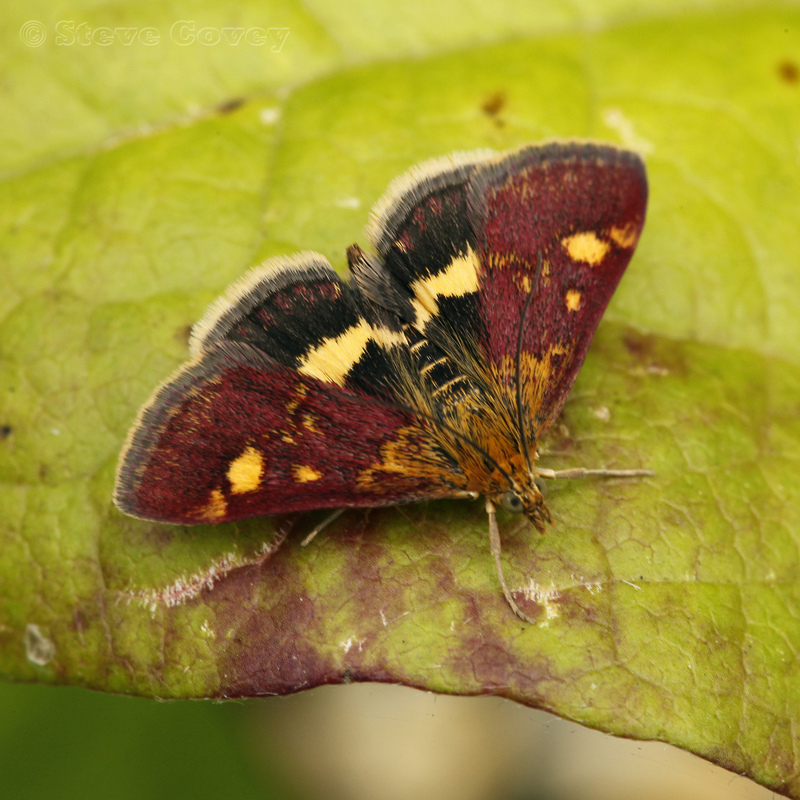 This purple micro-moth is smaller than its purpuralis cousin with fainter orange markings. The hind wing is black with a yellow cross band. Mints, Marjoram, Clary (Salvia spp. ), Thyme.